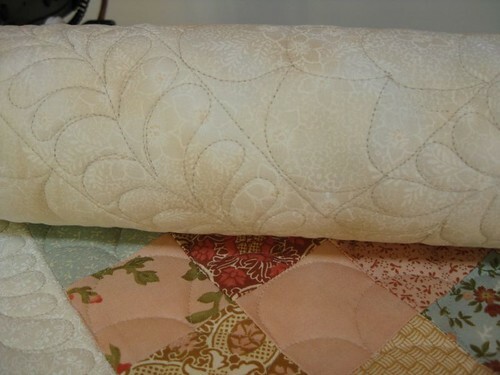 I have been doing a little longarm machine quilting the last couple of days. 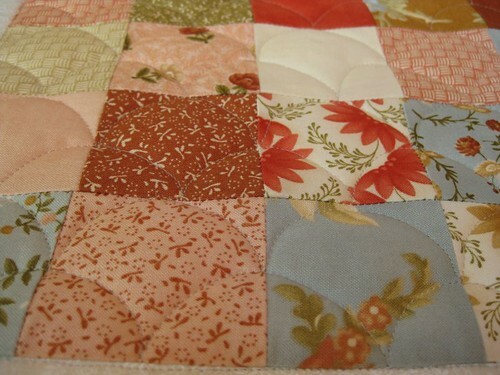 I am trying to complete the quilting on this top made by my daughter who I will visit next weekend. 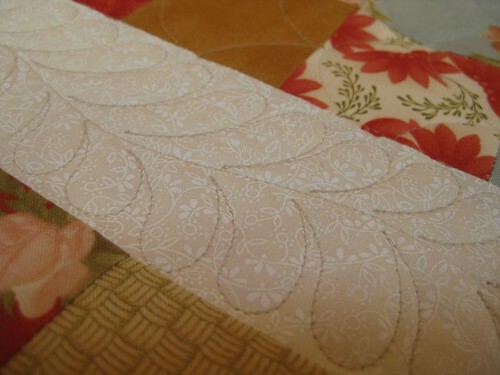 I wonder why I thougt to use the traditional “clam shell” quilting pattern. And, of course, a few feathers thrown in just because. a few clamshells, and before you know it, the whole thing is done.